I set up with a buddy on a summer smelting spot in hopes that the smelt would still be around. Neither of us had much experience fishing the lake through the ice so it was a shot in the dark as to whether or not we would go home with a skunk. As dark approached, slight flickers near bottom on the flasher started to reveal that we might be correct. 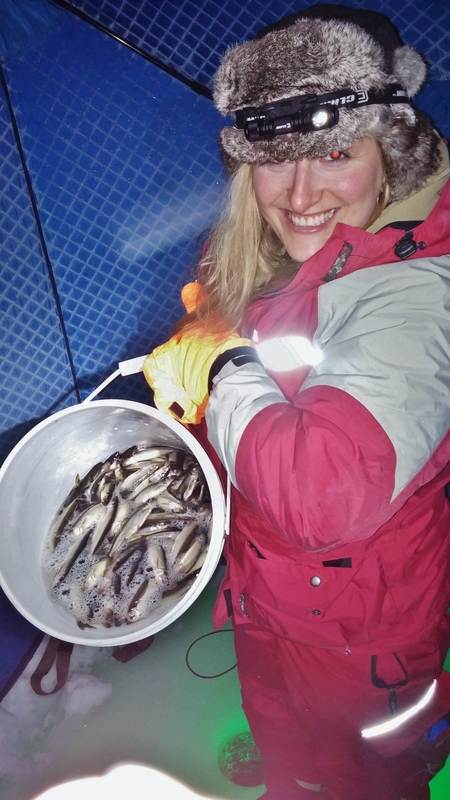 Once it was dark, it took about 5 minutes to hook into the first smelt of the night. It came from the bottom in just under 40 FOW. A slow retrieve up brought numerous fish up throughout the water column following. While things seemed like they were turning in our favor, that was not the case. The next 2.5 hours were a struggle. 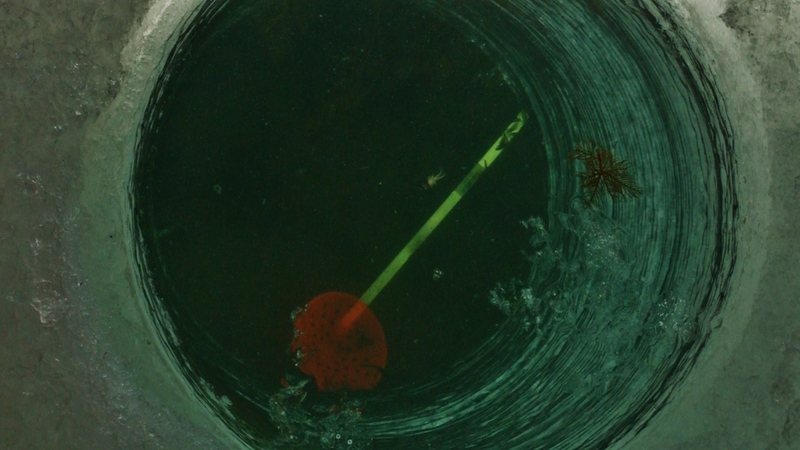 We worked up and down in the water column with only a few more smelt coming topside. Even though the bite was slow, we constantly marked fish all around below us. We changed up our presentation with as many variation as we could could come up with but nothing seemed to help. The bites were to few and light to be successful. I will be back again before ice out in hopes of better luck! 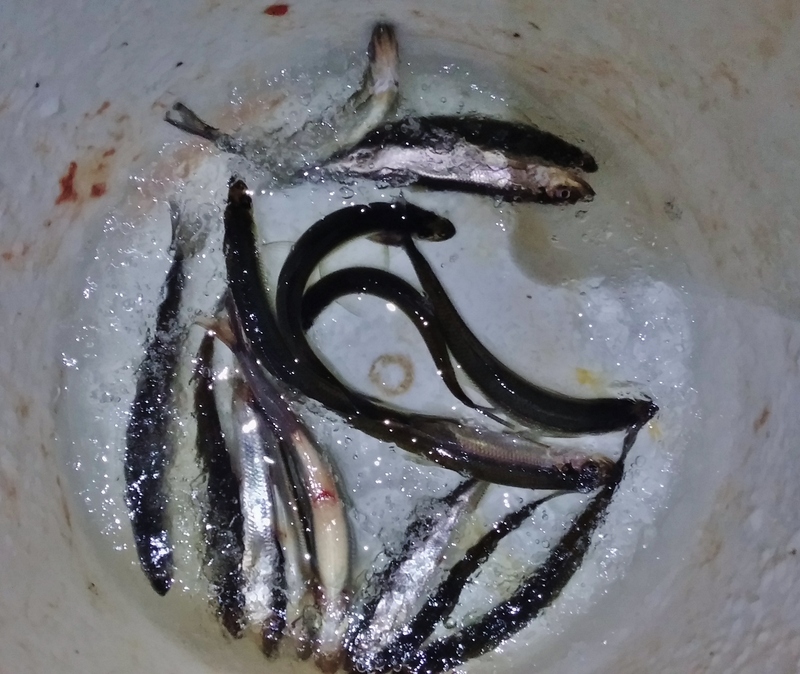 After working at the Yankee Sportsman Classic in Essex the last two days, a night bite for smelt sounded ideal. We were on the ice and had the Clam Bigfoot XL4000t set up with in minutes of 8pm. 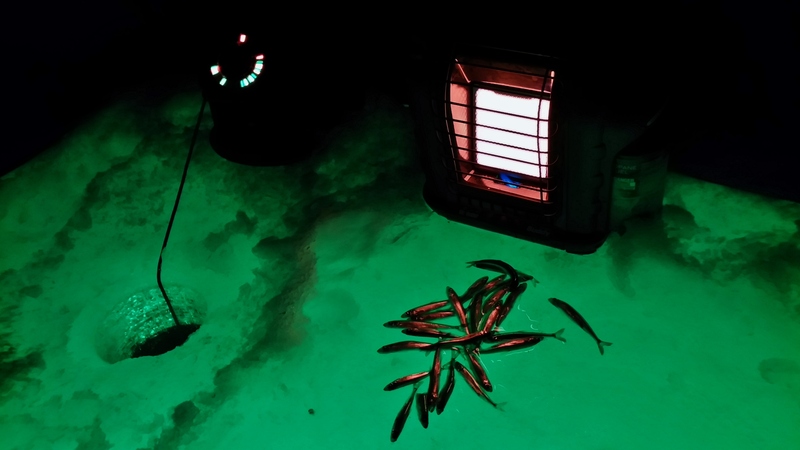 With the Hydro Glow glowing bright it only took a few seconds for the smelt to stack up under us in 30 feet of water. We sat in one spot all night with no shortage of fish at any point. They were cruising throughout the entire water column with the most active zone being 6-10 feet. 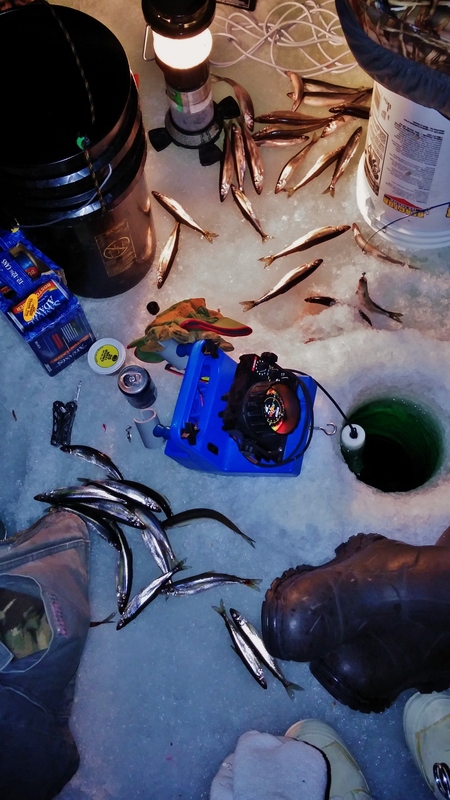 You could also sight fish them just below the ice but they seemed to be missing the bait almost every time they went by no matter how hard they charged. We were running small flasher jigs with with tiny jigs tied inline above. 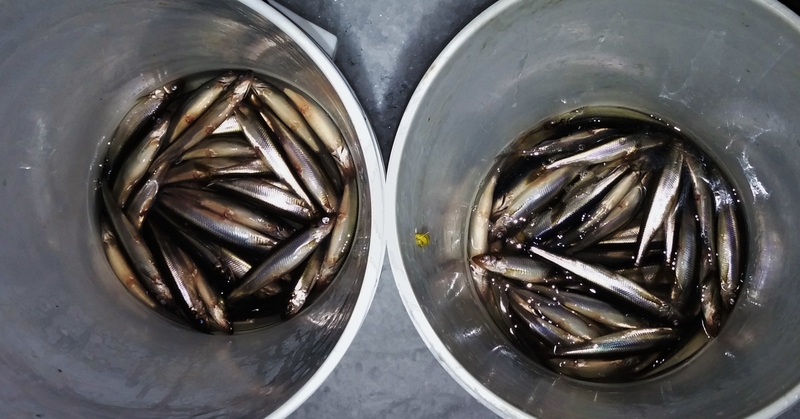 The bit was good on both smelt chunks and maggots. Getting them to bite on plastics didn’t go so well though. Dead sticking produced a steadier bite than jigging as well! We also had a nice visit from the local warden. He came in after we had been there for a bit with his truck blacked out and night vision going. Glad to see that they are out after dark keeping people honest! A buddy invited me to hit the big lake today in search of some lake trout. We were on the water and had our tip ups set up in the dark. After settling down for a bit we set up a shack that we could both fish out of. I wish I could say that we caught a ton of fish or even one but it was a great morning to say the least! At any point when we dropped the camera down, there was at least one fish cruising the edge of what we could see. Quality ones too! Throughout the course of the morning. We had two opportunities but neither successfully hooked up. Probably the best part of the trip happened when we picked up to leave. With all the tip ups loaded we sat back in the shack to warm up. A quick flash right under our feet revealed an alewife being pursued by a 8-10 pound laker. 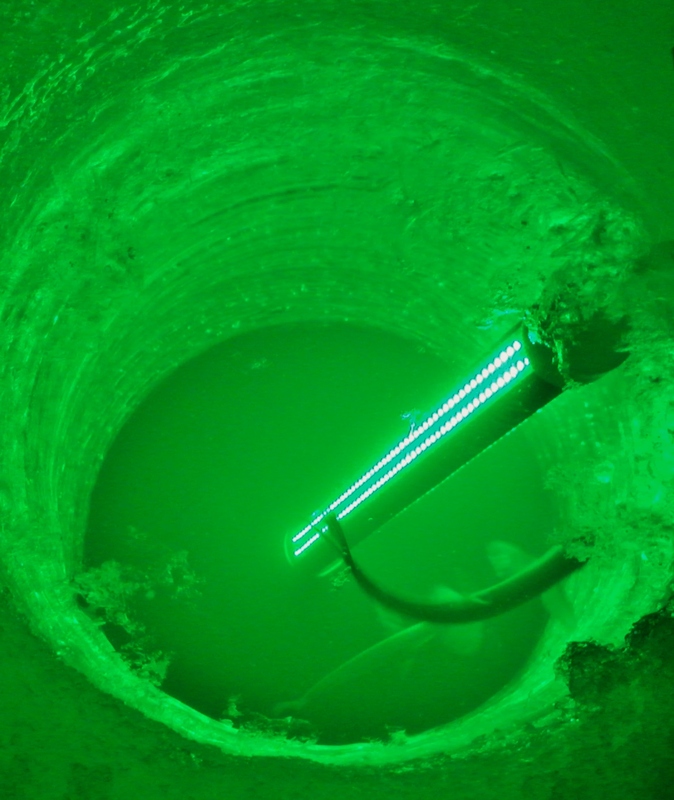 We saw the fish several times before the alewife escaped up our into our hole. Although it was frustrating, we made the trek off the ice to head out to a different location that was loaded with bass and pike. 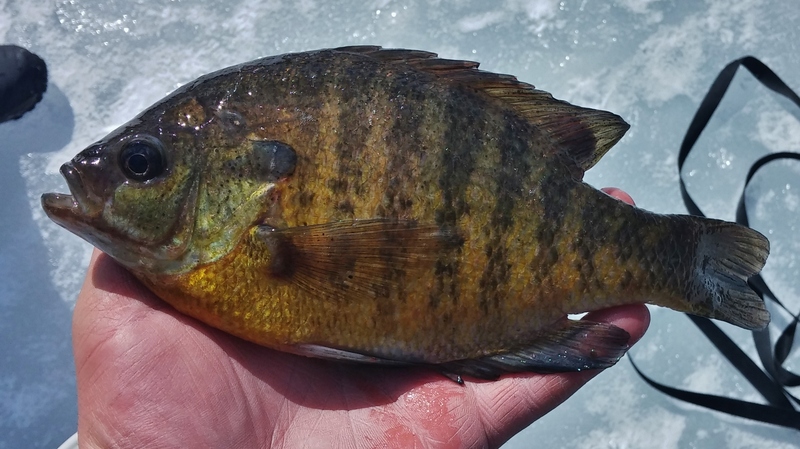 We also had the opportunity to jig up panfish. After setting up our tip ups again in shallower water, the jigging bite was good. 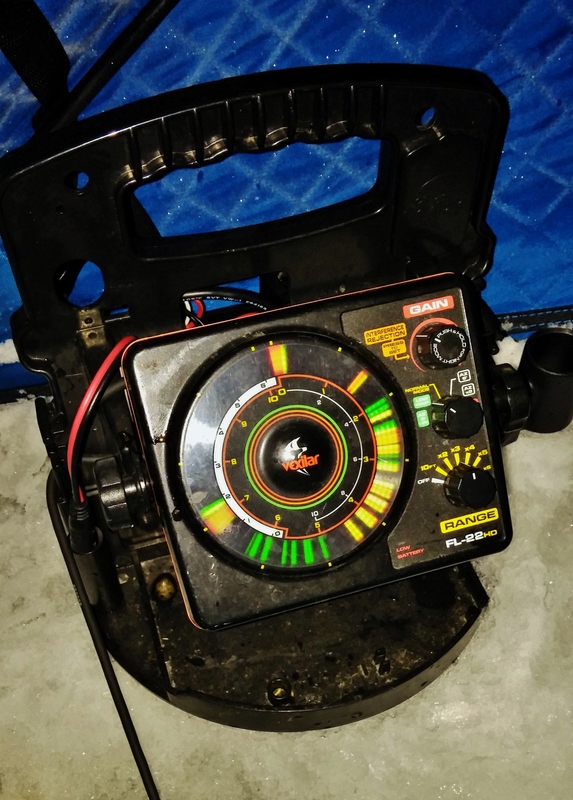 Seeing 6, 7, or 8 bass in a hole at a time was common. Many times we would be catching crappie and bluegill while bass were inches from our bait! As dark approached we set up the Hydro Glow. The bite was slow but we had some decent sight fishing action. When things winded down, we headed our separate ways and I headed to another pond for some more smelt. Arriving at the smelt grounds, I was greeted by several buddies of old and new. The fish were there and they were biting. The depth they were biting at constantly changed but it didn’t take long to know if they were active or not. Aggressive jigging seemed to be the key. The smelt were some of the biggest ones that I have seen outside of Lake Champlain!